These tips are perfect for those of you who plan on opening an abrasive products business. Make sure you consider this advice before you open up shop. Here are some valuable bits of advice on how to open an abrasive products business. The market for abrasive products is massive. Any industrial manufacturer that engages in grinding, finishing, burnishing, polishing, lapping, honing or blast cleaning is likely to have to order abrasive products on a regular basis. From aerospace to automotive to ceramics, almost every industry engages in some of these processes. To put the size of the industry in perspective, very few manufacturers can operate without abrasives. It is a huge and global market. Making the opportunity even greater, there are also numerous abrasive selling opportunities in non-manufacturing sectors. At its essence, the abrasive products market involves reselling hard minerals that other firms then use to shape, finish and polish their manufactured products. Common abrasives include diamond, garnet, aluminum oxide, silicon carbide, zirconium oxide, boron carbide, cubic boron nitride, ice, solid carbon dioxide, walnut shells, plastic, and sand (as in sandpaper). In many cases, the raw materials of any given abrasive are themselves manufactured into abrasive products. For example, an abrasive products company may sell its abrasives in the form of molded grinding wheels, honing stones and plugs. Alternatively, it might apply the abrasives to fabric backings and sell them as sandpaper. This is a tough industry to get started in. There are many mature competitors who offer a one-stop-shop for abrasive products. Companies like to deal with them because they know they can get whatever abrasive products they need. There's no need to work with hundreds of small vendors. 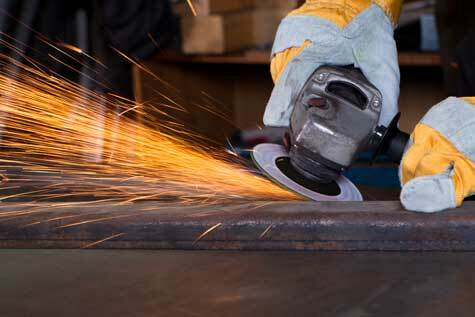 So can a startup company succeed in the abrasives industry? It's possible but it requires a niche strategy that leverages product innovation that is valued by the market. Put simply, you have to do better than the big guys in an area that they are overlooking or you need to come up with something new that they cannot easily copy. To succeed, you will need an intimate knowledge of abrasives chemistry and the myriad applications of abrasives. If you don't have at least fifteen years of experience in the industry, you probably will not succeed. Work for a big, established company and keep your eyes open for niches that they are not pursuing that you could potentially capitalize on. A common mistake for a small business owner is to launch your company without having written a business plan. A good business plan establishes both a framework and a roadmap for your business. If you don't have a business plan, your leadership will be handicapped, making decisions that could be detrimental to your abrasive products business's values and long-term goals. Before you open an abrasive products business in your town, it's essential to find out how you will fit in the competitive landscape. Try our link below to find competitors in your city. Simply enter your city, state and zip code to get a list of abrasive products businesses in your town. If you are seriously contemplating launching an abrasive products business, it's essential that you have a conversation with someone who is in the business. It's very unlikely that the local competition will talk to you. Why would they want to educate a future competitor? However, a fellow entrepreneur who has started an abrasive products business in a different city will be much more likely to talk with you, after they realize you reside far away from them and won't be stealing their local customers. Many business owners are happy to give advice to new entrepreneurs. Our estimate is that you may have to contact many business owners to find one who is willing to share his wisdom with you. Want the scoop on finding an abrasive products business entrepreneur who is willing to talk to you but doesn't live nearby? As a would-be abrasive products business owner, the impulse to build a company from scratch is in your blood. Yet abrasive products business startups aren't easy - many fail within the first year. So it makes sense that the idea of buying vs. starting a business should be carefully evaluated before you commit to an ownership strategy. Although startup owners may have greater control over the shape and scope of their companies, they lack the advantage of a proven business model. Along the same lines, it can take years for a startup company to achieve brand recognition while an existing business may already be a trusted name in your target market. The odds of achieving your primary goal of being a successful business owner are higher if you go the franchising route and leverage their successful brand and track record. Before you consider starting an abrasive products business, you should investigate whether buying a franchise could increase your chances of success. What should we add to this article to help teach people how to start an abrasive products business? Post your comments on this topic using our comment submission form below. Already Own an Abrasive Products Business? Are You Selling to Abrasive Products Businesses?